This week marks the 12th event of the 2013-14 PGA Tour season, as players head back to the California coastline for the AT&T Pebble Beach National Pro-Am. A field of 156 players (and several notable amateurs) will tackle a rotation of three courses, with Sunday's final round contested at Pebble Beach Golf Links..
1. 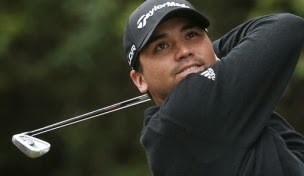 Jason Day: Not exactly a clear-cut favorite this week, but Day enters off a T-2 at Farmers in his first start of 2014. The Aussie won in his homeland late last year and his track record at Pebble includes a pair of sixth-place finishes (2008, 2013). Day only has one PGA Tour win to his credit, but that stat is likely to change in 2014. 2. Hunter Mahan: Mahan notched a T-4 finish last week in his first start of the new year, shooting 65-68 over the weekend in Phoenix. Though he hasn't won in nearly two years, the veteran produced another solid 2013 season and has cracked the top 20 each of the last three starts at Pebble, including a runner-up showing in 2011. 3. Dustin Johnson: It's arguable that no one in the field enjoys Pebble more than Johnson, who has won twice and recorded two other top-10 finishes in six career starts - not to mention his T-8 here during the 2010 U.S. Open. Johnson should be well-rested this week, with his most recent start coming at Kapalua where he tied for sixth. 4. Jimmy Walker: Walker is coming off a rare missed cut at Torrey Pines but a return to Pebble will likely help him regain the form that netted a pair of wins already this season. Walker has recorded a top-10 finish in each of his last three trips to the Monterey Peninsula, including a tie for third last year, and this season is playing some of the best golf of his career. 5. Jordan Spieth: While the health of his right ankle remains to be seen, Spieth is now almost always a name to watch regardless of venue. The Texan tied for 22nd here a year ago and, despite a disappointing finish two weeks ago in San Diego, has already shown that his Rookie of the Year season in 2013 was no fluke. 6. Graeme McDowell: The Ulsterman is making his first start of 2014 this week, and also returning to Pebble Beach for the first time since hoisting the U.S. Open trophy four years ago. McDowell ended his 2013 campaign with a string of high finishes and has previously navigated this week's rotation of courses with some success, as evidenced by his eighth-place showing in 2005. 7. Phil Mickelson: Mickelson has won this event four times since 1998, but fatigue and injury remain a concern. The left-hander is playing in his fourth straight event this week and still has questions surrounding the health of his back. Before entering a four-week break, though, he may find a way to contend once more along the coast. 8. Patrick Reed: After skipping San Diego with a rib injury, Reed appeared no worse for wear last week in Phoenix, where he tied for 19th. Just three weeks removed from his victory at the Humana Challenge, the 23-year-old now returns to an event where he tied for seventh last year in his first start at Pebble. 9. Spencer Levin: After an injury-plagued 2013, Levin appears to be on the comeback trail, with eight starts this season resulting in seven made cuts and three top-30 finishes, including a T-29 in Phoenix. He's another player in this week's field with a strong record at Pebble Beach, having finished T-4 in 2010 and T-9 in 2011, his most recent appearance. 10. Matt Jones: The Aussie stumbled down the stretch in Phoenix after holding a share of the 36-hole lead, but he remains a player to watch this season. Jones now has a pair of top-15 finishes in his last three starts and has had some success in this event, finishing T-10 in 2010 and T-15 in 2011.